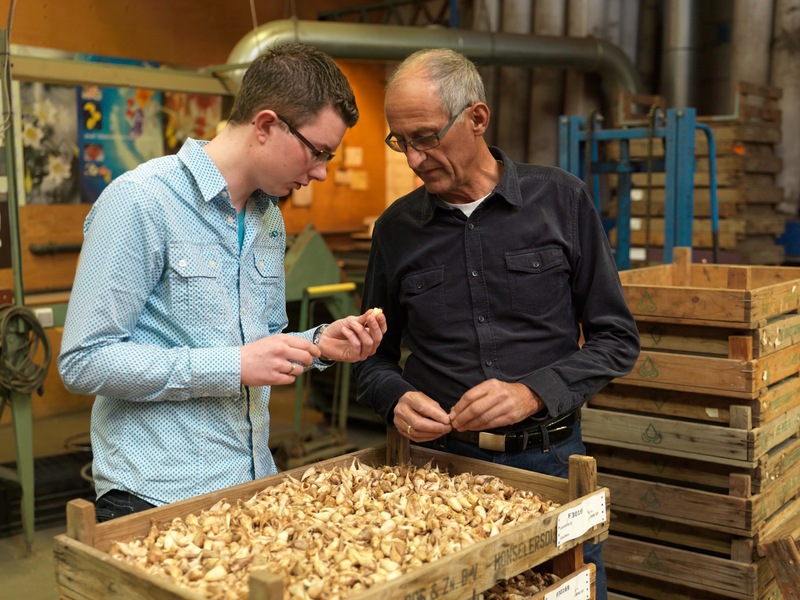 Van den Bos exports its freesia bulbs and cormlets to over 60 countries throughout the world. All of our freesia varieties are marketed on an exclusive basis. We provide high quality freesia corms and cormlets year-round. Our freesia assortment consists of over 10 varieties of genetically short potted freesias and approximately 50 varieties of cut freesias. Van den Bos is a household name in the field of preservation, preparation, trade and export of freesia corms and cormlets. Service and quality enjoy top priority, which is clearly reflected in our final products. Our representatives are genuine specialists and they can support you with personal growing advice to ensure that you can always get better quality freesias. One of our strengths is our own range of exclusive varieties, both in cut flowers and potted plants. Our customers produce cut flowers and potted plants from our freesia bulbs. We have over 50 varieties of cut flowers and 10 varieties of potted plants available in our assortment. Our varieties are available throughout the world and we have cultivars suitable for all types of climates. You have come to the right address for exclusive varieties of freesia. We offer freesia varieties from our own collection and series from leading breeders. On the back of our many years of experience our customers can rest assured that the corms and cormlets are in good hands and that they have access to top quality starting materials. Van den Bos creates new perspectives for our customers through breeding. This helps to ensure that our varieties exceed the expectations of growers, wholesalers and consumers. We have varieties from our own collection and series from leading breeders. We have the best possible facilities available in the Netherlands and New Zealand to propegate all varieties. Our propegation is supported by modern technology, but practical experience remains the most important and determining factor above all.